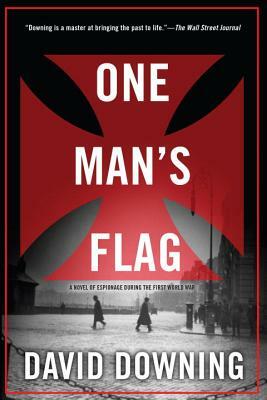 Spring 1915: World War One rages across Europe, and the British Empire is assailed on all fronts--domestic and abroad. Amidst this bloodbath of nations, where one man's flag is another man's shroud, a British spy is asked to do the impossible: seduce and betray the woman he loves, again. Only this time betrayal is a two-way street. Jack McColl, a spy for His Majesty's Secret Service, is stationed in India and charged with defending the Empire against Bengali terrorists and their German allies. Belgium, he finds, is not the only country seeking to expel an invader. In England, meanwhile, radical journalist Caitlin Hanley begins the business of rebuilding her life after the execution of her brother--an IRA sympathizer whose terrorist plot was foiled by Caitlin's own ex-lover, the very same Jack McColl. The war is changing everything and giving fresh impulse to those causes--feminism, socialism and Irish independence--which she as a journalist has long supported. The threat of a rising in Dublin alarms McColl's bosses as much as it dazzles Caitlin. If another Irish plot brings them back together, will it be as enemies or lovers? David Downing grew up in suburban London. He is the author of two other Jack McColl novels, Jack of Spies and Lenin's Roller Coaster; the thriller The Red Eagles; and six books in the John Russell espionage series, set in WWII Berlin: Zoo Station, Silesian Station, Stettin Station, Potsdam Station, Lehrter Station, and Masaryk Station. He lives with his wife, an American acupuncturist, in Guildford, England.